On day 4 of the blog tour, I’m pleased to share Faith’s brilliant review of Visions of Zarua and my interview. Hope everyone’s been having a wonderful week! Today, it is my privilege and honour to host Suzanne Rogerson on Day 4 of her Visions of Zarua blog tour! Today, I have an interview with Suzanne as well as a review of her novel to share! So sit back and enjoy! 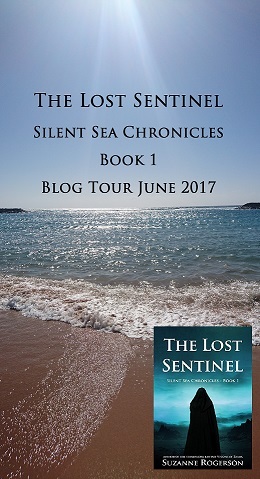 This is day 4 of the blog tour. Time for a quick recap of what’s happened so far, and what’s to come. The giveaway to win an ebook is still running, but be quick there’s only 2 days left to enter. On Monday, Cathy kicked off the tour here. Later today I’ll be interviewed by Faith Rivens and she’ll be sharing her review as well. Visions of Zarua has been receiving some great 4 and 5 star reviews on Amazon UK Amazon US Goodreads. I love to see my readers views and opinions, and am fascinated how some people love Paddren, and others love Varnia. What about you? Here’s the schedule and the remaining links for the rest of the tour. Please do drop by these great blogs. I’ve just made a small adjustment to the ebook price – $3.99 & £2.99 on Amazon (others to follow). I’ve just filed my first ever tax return as a self employed author. Yesterday I received my first ever royalty payment from Amazon. On day 2 I’m delighted to share the first review of my blog tour over on Rosie Amber’s blog. To take my mind off the blog tour for Visions of Zarua (starts tomorrow!) I decided to look back through my old photos. I came across these lovely wolves and remembered when I went for a visit to The UK Wolf Conservation Trust in Beenham, Berkshire. It was back in 2006 and I was pregnant with my daughter (funny I was pregnant the last time I walked with wolves see my post here on that special experience). Unfortunately the pups were too worn out to play that day. I’d love to go back and take part in the weekend walks with wolves that they organise. I can’t wait for the kids to be old enough to visit (minimum age 12). And as Michelle Paver the author of Wolf Brother is a patron, I’m sure my son with be itching to visit too. Guess What YOU Can Now Preorder? Dan Alatorre’s new book is availbe to preorder now. Order now at the discounted price 99c/ 99p. Source: Guess What YOU Can Now Preorder?